Last August, the future looked uncertain for popular local nightspot Tysons Biergarten (8346 Leesburg Pike). But just a few months later, Biergarten isn’t just staying in place: it’s growing. The Biergarten had been in-place on a month-to-month basis — a placeholder until the construction nearby extended into the lot. Owner Matt Rofougaran said the Biergarten will remain in place through the end of the year, if not longer. But the extension doesn’t mean the Biergarten will remain stagnant. 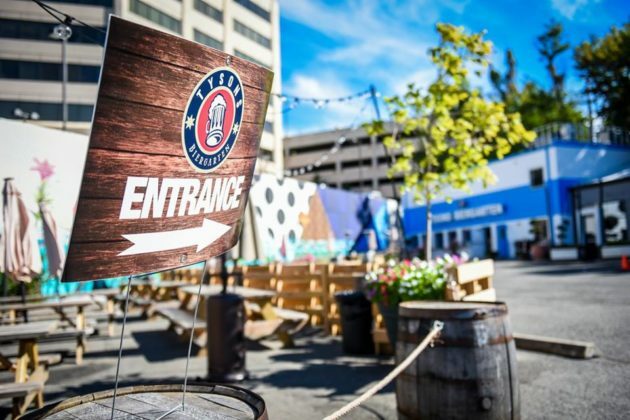 This past weekend, the Biergarten opened a new speakeasy-by-day and nightclub-by-night in the basement. 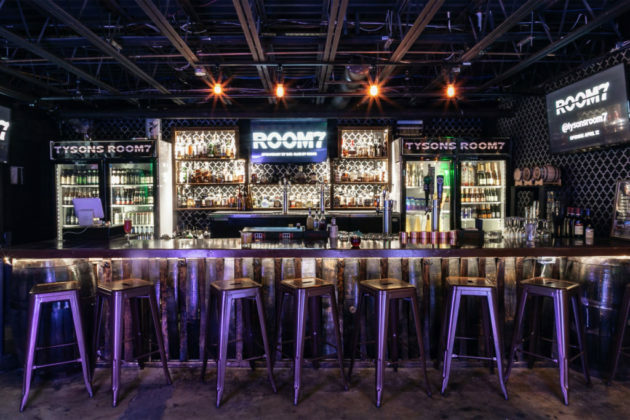 Where there were once German style long tables in the basement, fitting the German beerhall theme of the rest of the establishment, the room has been turned into a club called Room 7. There are 50 beers available downstairs, both in bottles and cans, with a special table service being offered. The club is over-21 only and has a strict dress code. 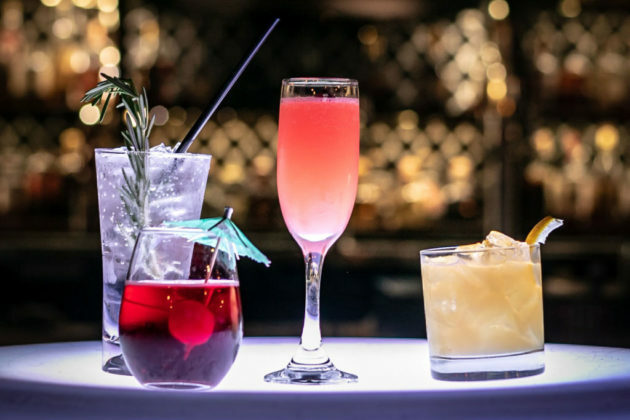 During the speakeasy hours, the location is planned to offer “prohibition-type cocktails,” mainly custom house mixes with higher-end whiskey in a more relaxed atmosphere. Rofougaran said he’s also looking to get some of the big DJs from D.C. to make the trip across the Potomac to perform at the club. 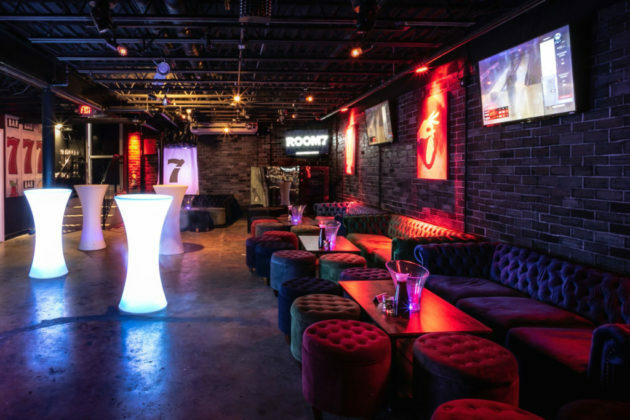 The club is also planned to host a variety of themed nights, like “Persian Night” on Thursdays or “Old School Hip Hop” on Fridays. “It was time for a renovation,” Rofougaran said. 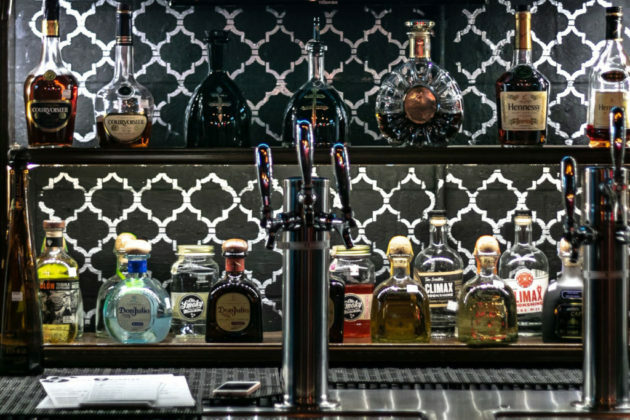 Rofougaran was frank that he hoped the change would generate sales, but also added that the higher end speakeasy and nightclub vibes were something he felt the Tysons area was lacking. 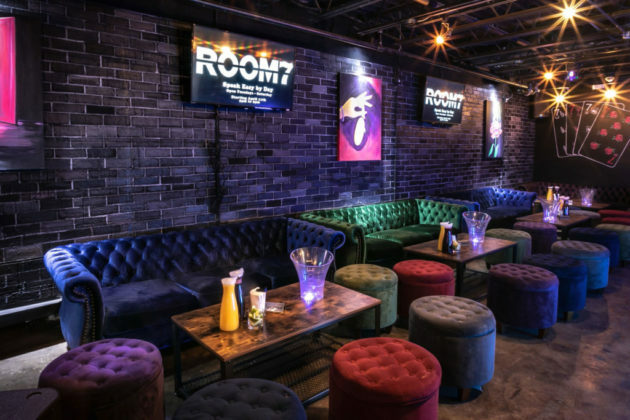 A grand opening celebration for Room 7 is planned for April 11. 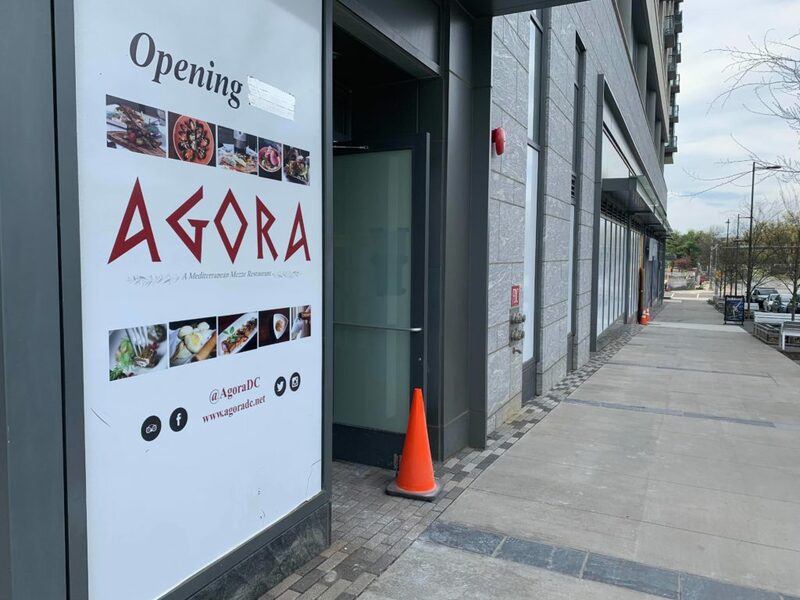 Rofougaran also opened up a little about The Shipyard, a new location for the Biergarten planned for the Scotts Run development in Tysons East. Early plans indicated that the new location near the McLean Metro station would replace the existing Biergarten, but according to Rofougaran, current plans have The Shipyard and Tysons Biergarten operating concurrently. The Shipyard is planned to have four shipping containers modified into their own types of mini-restaurant or bar. One will be a branch of the Biergarten. Another will be an egg roll spot called Roll Bär. The other two have not been announced yet. 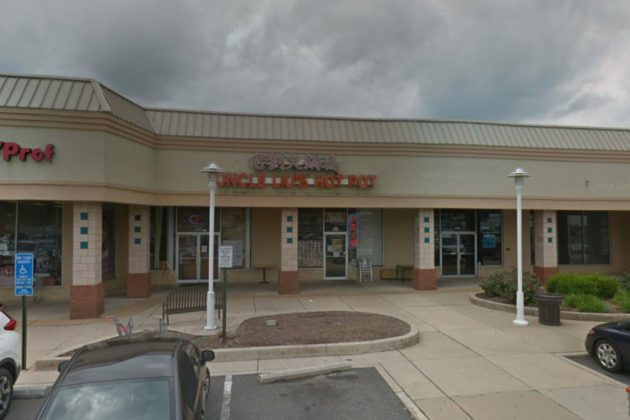 After new ownership took over Uncle Liu’s Hot Pot (2972 Gallows Rd) in March, the restaurant is now in the process of reshaping the casual Chinese eatery in Merrifield. 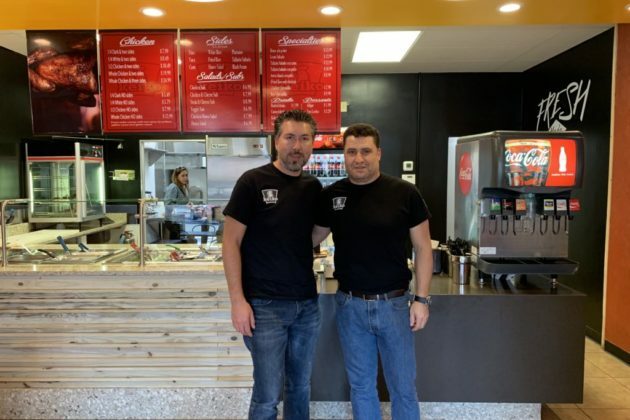 An investor representing the project said the new ownership took over the restaurant on March 1 and has maintained operations to have a smooth transition into a new menu. 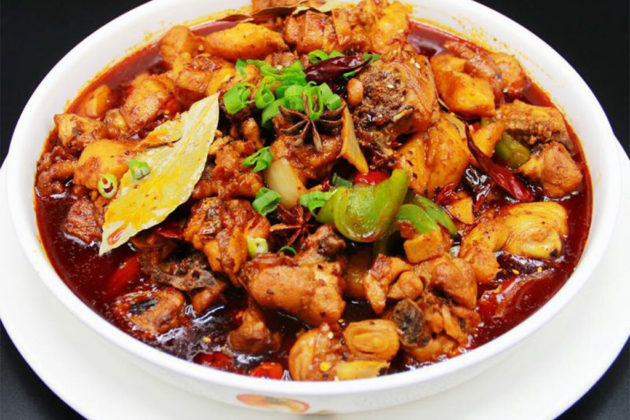 The restaurant is keeping the hot pots, but a new chef from the Henan Province of China is joining the project and specializes in hui mian noodles, a food popular in that region. 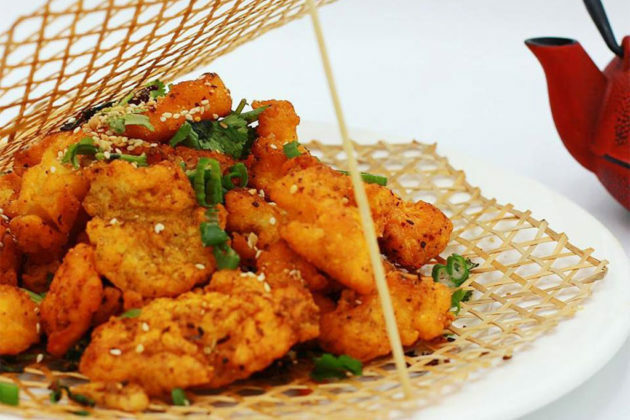 The noodles are typically served with lamb or beef, but the investor said at Uncle Liu’s they will also be served alongside a large plate of chicken. Uncle Liu’s Hot Pot offers a lunch menu during weekdays for $19.95 and a dinner menu for $25.95, with all-day dinner pricing on weekends and holidays. 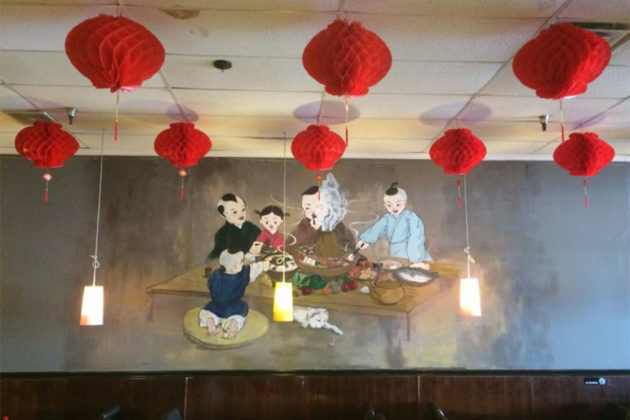 The investor also said Uncle Liu’s Hot Pot is also filing for a new ABC permit because the previous one didn’t carry over with the new ownership, adding that the restaurant is anticipating approval and alcohol on the menu within a few months. Alexander Ovechkin and some famous Russian friends celebrated the Great Eight’s eighth 50-goal season in style in Tysons Tuesday. 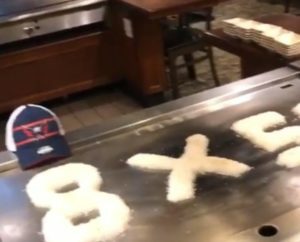 Capitals blog Russian Machine Never Breaks reports that Ovi and friends dined at Sakura Japanese Steak and Seafood House, at the Pike 7 Plaza shopping center near the Greensboro Metro station. Video of the celebration appears to show Ovi and his party — which included a pair of Russian comedians — enjoying pretty much having the entire restaurant to themselves. Next up for Ovechkin and the Caps: the NHL playoffs. 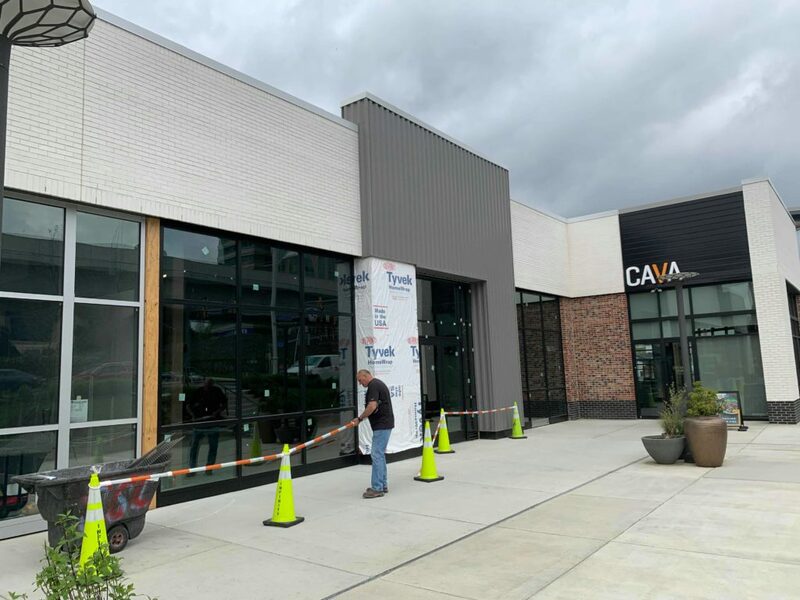 There’s a suite of new restaurants planned for Capital One, but the previously announced Taco Bamba won’t be among them. A Taco Bamba Taqueria was originally announced along with City Works Eatery and Pour House and a Starbucks. A Wegmans is currently under construction nearby with a planned opening in 2020. 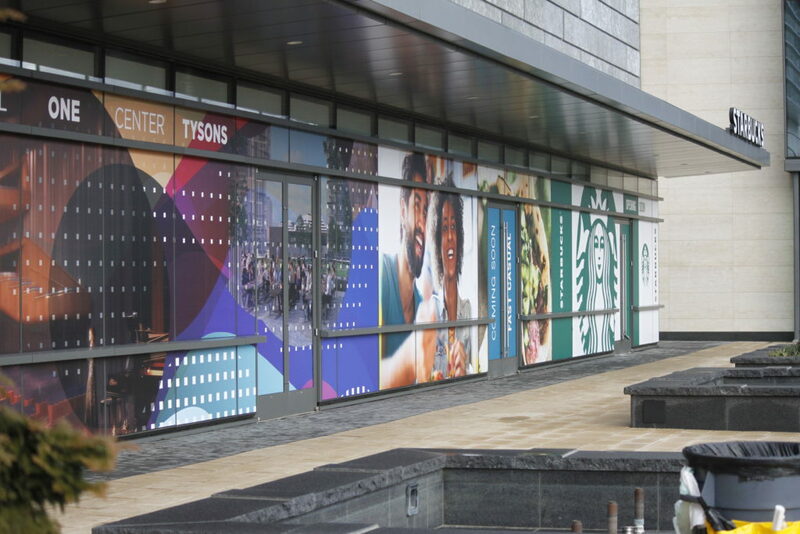 A representative of Capital One said the City Works — a 12,000 square foot restaurant with 90 beers on tap — is on track to open in May, and the Starbucks recently opened, but that there will be no Taco Bamba on the Capital One campus. The building went so far as to wrap the storefront that would have housed Taco Bamba with artwork that included a photo of a taco. But the celebration of the planned Taco Bamba may have been premature from the start. Jennifer Williams from Know Public Relations, which represents Taco Bamba, said in an email that the restaurant and the landlord never reached an agreement or executed a lease for the space. Taco Bamba was founded in Falls Church and has recently been spreading throughout the region. The restaurant was also recently nominated for “Favorite Fast Bites of the Year” and “Restaurateur of the Year” at the 2019 RAMMY Awards. 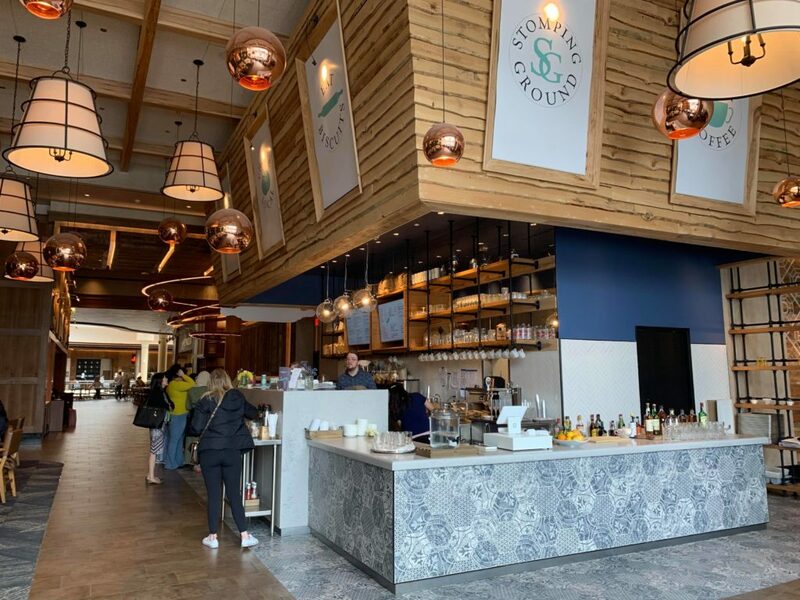 After testing the waters with a few drink options late last month, the Tysons Galleria location (2001 International Drive) for southern cuisine eatery Stomping Ground is moving forward tonight with an evening food and drink menu. According to owner Nicole Jones, the new menu and cocktail list will be available in the restaurant every day starting at 3 p.m. The new snacks are an eclectic assortment of southern dishes, from the rather conventional deviled eggs at $8 to Chicken Liver Mousse at $12. The restaurant’s signature fried chicken buckets — which serves two — are also available for $35. Cocktails are $12 and cover an array of southern porch and parlor classics, like cucumber tonics (gin, cucumber juice, elderflower, lemon) and rainy ladies (pussers rum, lairds, vermouth, cinnamon, walnut). Like the newly opened bar at Andy’s Pizza next to Stomping Ground, the menu will include a selection of beers and wines. 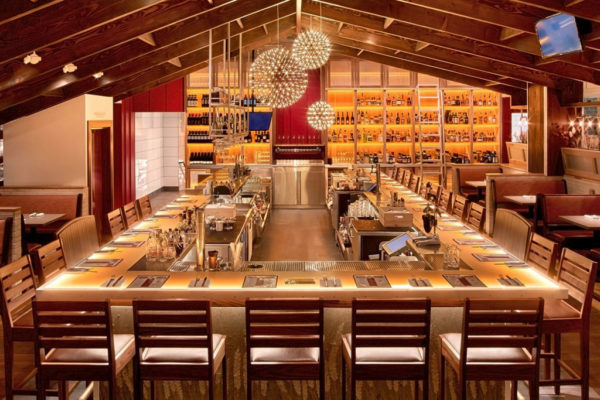 There are so many good restaurants in and around Tysons, but not all of them are known for their obnoxious birthday celebrations, especially for kids. Where can you take your family to celebrate a birthday where they’ll totally embarrass you, your kids, but give everyone a good laugh? Here’s a list of places to go if you’re celebrating a big day! Most are chains, so if you know of a hidden gem that should be mentioned, please mention it in the comments below. Sakura: Hibachi — Always fun! Maggiano’s — Candle in any dessert you order. Chuy’s — They give you a huge sombrero and sing, along with ice cream. Uncle Julio’s — Chocolate Pinata! Guapo’s — The waiters sing loudly with instruments and give the kids a large sombrero. If you stop by Founding Farmers Tysons, be sure to offer congratulations to manager Paris Twyman for her recent nomination as “Manager of the Year” for the 2019 RAMMY Awards. The RAMMY Awards are an annual competition hosted by the Restaurant Association Metropolitan Washington to celebrate excellence in local restaurants. Taco Bamba Taqueria, which started in Falls Church and now has locations throughout Northern Virginia and D.C., was also nominated for two awards. 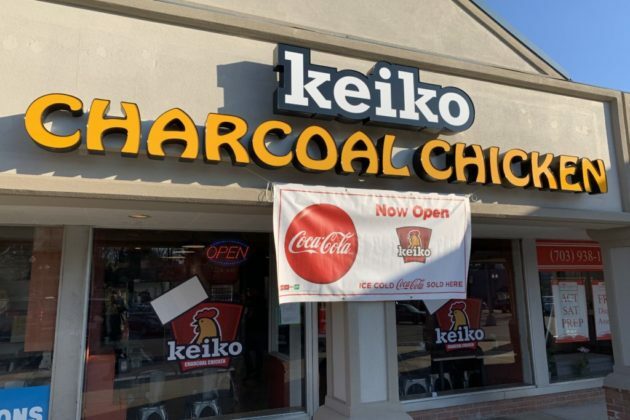 South American chicken chain Pollos Keiko has opened its first American location — “Keiko Charcoal Chicken” — this week at 235 Maple Ave E. in Vienna. The restaurant offers a variety of chicken options, from quarter-portions for $5.49 to whole chickens and three sides for $24.99, as well as salads, sandwiches, and sides like rice and plantains. 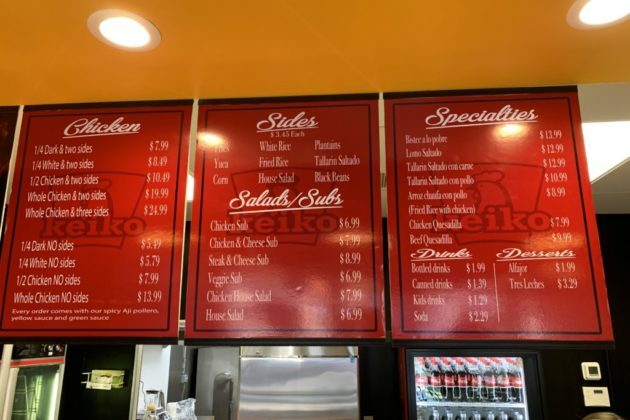 Nelson Barrios, one of the partners opening the restaurant, repeated the old real estate axiom for opening in Vienna: “location, location, location.” Barrios said he didn’t see anything quite like Keiko available in Vienna. (Don Pollo, a Peruvian chicken chain that opened a few blocks south in January, said the same thing). Barrios said, for the most part, it was easy to get started in Vienna, though some of the administrative issues along the way were stressful. Barrios encouraged Vienna residents to come in and try the chicken. Among the sides, Barrios said one of the more unique was “Tallarin Saltado” — a Peruvian stir fry noodle dish with green peppers and onions.